Expectations are always sky-high for any first round pick, but those expectations are magnified when that pick is made by the Boston Bruins. Add in the fact that the first round pick was acquired as the centerpiece of the Dougie Hamilton trade, and Bruin fans expect the player to be a superstar immediately. Of course, that is not fair to ask of someone who wasn’t even 20 years old, but that is the situation Zach Senyshyn found himself in. Boston drafted him 15th overall in the 2015 NHL Draft while he was with the Sault Ste. Marie Greyhounds of the OHL and he was one of the team’s three straight first round picks that season (Jakub Zboril and Jake DeBrusk). 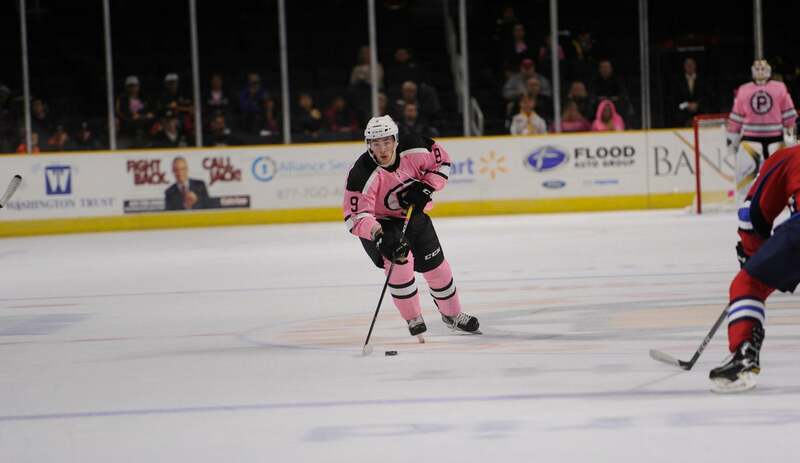 Known for his speed and goal scoring touch, Senyshyn thrived after getting drafted posting 87 goals over two seasons in the OHL. 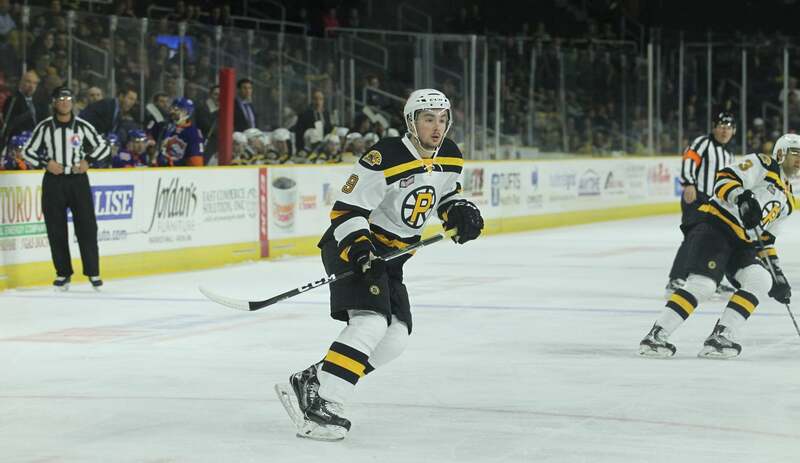 This led to him making his AHL debut during the 2017 Calder Cup Playoffs and starting his first full professional season with the Providence Bruins in 2017-18. He showed off both of the qualities scouts saw in him throughout the season, but also proved to be streaky as a rookie. There were times he went on nice two to three week stretch of scoring, but those were followed by times when he failed to crack the score sheet. 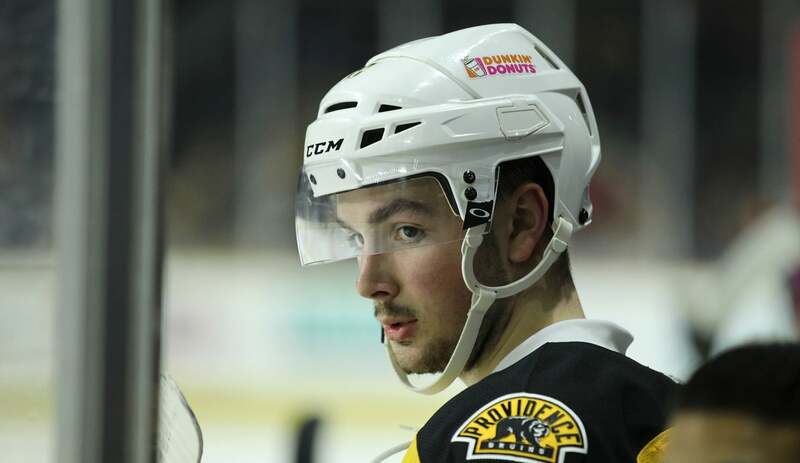 Senyshyn mostly played right wing on the third line for the P-Bruins, allowing him to grow and learn the other aspects of professional play that can be different from junior hockey. Even when he wasn’t finishing plays, his natural speed up the right side was evident as he blew by defenders to set up chances and crash the net. He never let any offensive frustrations detract from his other areas of play and learning, a trait that does not show up on the stat sheet. He got some offensive rhythm towards the end of the season, posting goals in the final four home games of the season and scoring in the last four games overall. His big body, speed, toughness and quick shot all came together as he gave a glimpse of what he has the potential to be. Still only 21 years old, Senyshyn took a big step in his development during the 2017-18 season as he adjusted to life in the pros. 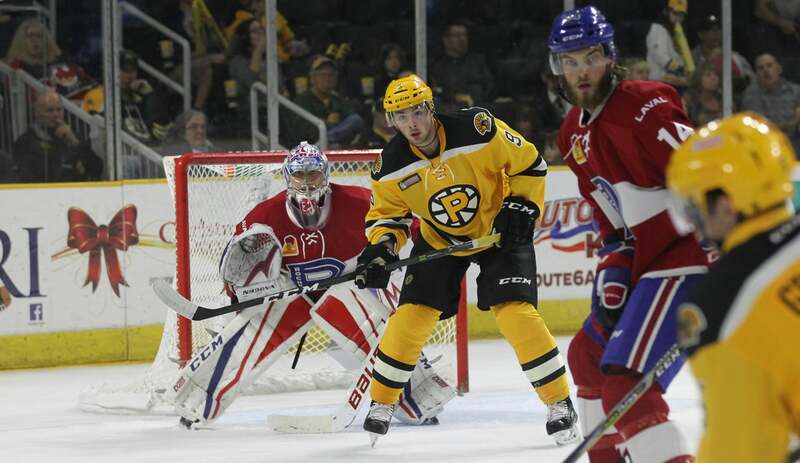 He likely will begin 2018-19 with the P-Bruins, so Boston fans will need to be patient waiting for him to be NHL ready. The good news for Senyshyn and Bruin fans is that there look to be openings on the right side for a winger with his skill set. With a year under his belt and an abundance of talent, next year could be an early breakout campaign for him. If that is the case, he could be in the running for third or fourth line NHL work should a need arise.